After somehow making it through 8,000 denied delays, 1,800 rumored release dates, battery issues, Skype removals, and 100,000 angry trolls, Verizon’s first 4G LTE device is ready to be placed in your pocket. 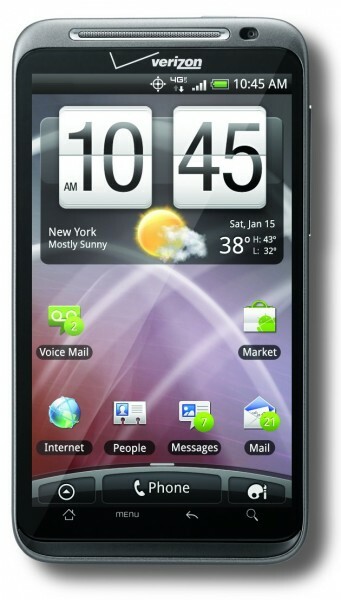 The HTC Thunderbolt has been announced and to no one’s surprise is $249 on a new 2-year contract. Data plans will hit the $29.99 mark, just like we said they would months ago, but we have to assume they won’t be that cheap for long. Skype was not mentioned in the release and from what we can tell will not be ready Thursday when the device goes on-sale. Are there battery issues? Not that anyone is going to tell us about. Now, breathe for a second. One cool thing to note is that the 8-device hotspot feature is free until May 15, but will be at least $20 a month after that. Everyone still interested in this device after all that we’ve been through? BASKING RIDGE, N.J. – Verizon Wireless and HTC today announced that the ThunderBolt™ by HTC, exclusively from Verizon Wireless, is available on March 17 in Verizon Wireless Communications Stores and online at www.verizonwireless.com for $249.99 with a new two-year customer agreement. Powered by Android™ 2.2, the ThunderBolt by HTC is the first smartphone to take advantage of Verizon Wireless’ 4G LTE network. The ThunderBolt by HTC features the latest version of the HTC Sense™ experience, which offers enhancements including new personalization options, a consolidated e-mail inbox, and unique camera effects and filters. The ThunderBolt by HTC is equipped with support for Google Mobile Services, including Gmail™, YouTube™ and Android Market™ with thousands of free apps. Additionally, the ThunderBolt by HTC will feature 4G LTE optimized apps such as EA’s Rock Band, Gameloft’s Let’s Golf, Tunewiki and Bitbop. With the ThunderBolt by HTC, customers will need to subscribe to a Verizon Wireless Nationwide Talk plan and a 4G LTE data package. Nationwide Talk plans begin at $39.99 monthly access and an unlimited 4G LTE data plan is $29.99 monthly access. Mobile Hotspot allows users to connect up to eight Wi-Fi-enabled devices to the nation’s fastest wireless network via an application available on the ThunderBolt by HTC. Mobile Hotspot will be included through May 15 for no additional charge. After May 15, customers may choose to activate Mobile Hotspot for $20 for 2 GB of data per month. Customers can track their data usage by downloading the My Verizon app available in Android Market or by logging on to their My Verizon accounts online at www.verizonwireless.com/myverizon. For additional information on Verizon Wireless 4G LTE visit www.verizonwireless.com/4glte. For more information about the ThunderBolt by HTC please visit www.verizonwireless.com/thunderbolt. For additional information on Verizon Wireless products and services, visit a Verizon Wireless Communications Store, call 1-800-2 JOIN IN or go to www.verizonwireless.com. Verizon Wireless operates the nation’s fastest and most advanced 4G network and largest and most reliable 3G network, and serves more than 94 million customers. Headquartered in Basking Ridge, N.J., with 82,000 employees nationwide, Verizon Wireless is a joint venture of Verizon Communications (NYSE, NASDAQ: VZ) and Vodafone (LSE, NASDAQ: VOD). For more information, visit www.verizonwireless.com. To preview and request broadcast-quality video footage and high-resolution stills of Verizon Wireless operations, log on to the Verizon Wireless Multimedia Library at www.verizonwireless.com/multimedia.